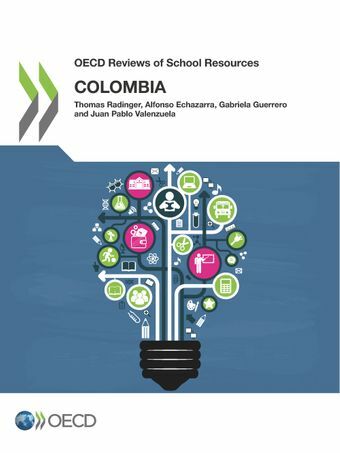 This country review report offers an independent analysis of major issues facing the use of school resources in Colombia from an international perspective. It provides a description of national policies, an analysis of strengths and challenges, and a proposal of possible future approaches. The analysis focuses on the funding of school education, the provision of school education and the development of the teaching profession. Rural education represents a transversal theme of the report within the context of Colombia's peace agreement and objectives to close rural-urban gaps in social and economic development.Issues covered include the level of spending, sources of funding and funding mechanisms; the organisation of the school network, including the funding of private provision; school governance, leadership and community participation; the organisation of teaching and learning, including learning standards, educational materials, student assessment, and instruction time; teacher learning in pre-service and in-service education; and teacher recruitment and career progression.The report covers all levels of compulsory education as well as transitions from early childhood education and care to school education and from school education to the labour market and tertiary education.